Georg Jensen "King's" Bowl No. 250A. 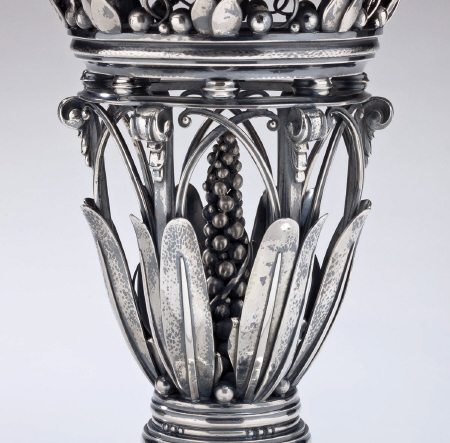 This sensational centerpiece bowl was designed by Johan Rohde in 1917. 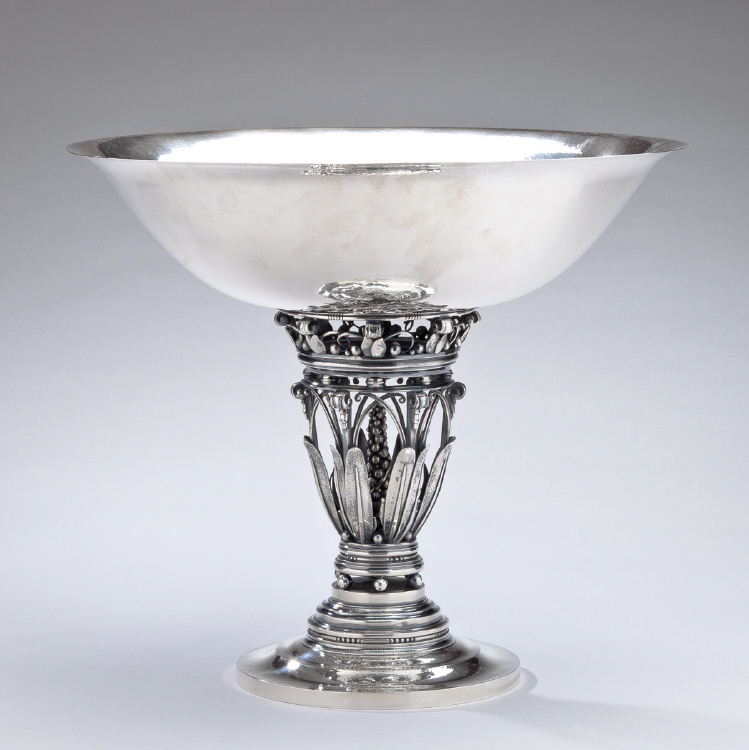 This pedestal bowl stands 15.563 inches high and the bowl measures 17.5 inches in diameter. 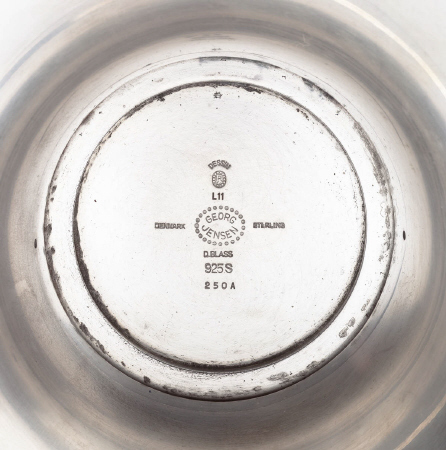 This bowl bears impressed marks for Georg Jensen circa 2009, Sterling, Denmark, Dessin Johan Rohde. This magnificent piece is in excellent condition.